Search Engine Optimization (SEO) it can be science and art, but as any other marketing techniques, it can be measured. Measuring the performance of your SEO program performance will greatly enhance its success and increase your website ranking with time. You have to know the indicators of measuring you SEO and how to keep monitoring it. You can guess for example that most of Ecommerce sites will want to measure how much product they sold. There are a lot of other factors like ranking, indexation, visits or any other factor would be a side factor and cannot be compared to the no the number of sold products and that is there way of measuring their SEO success. The target of a SEO program is to make customers who enter specific keywords to land on specific pages and the next step is converting their visits into sales. Therefore, by analyzing the keywords and DA PA Checker or their selling percentage we can consistently improve the SEO program. That was an example and each category of websites will have a key factor that really important for them besides some other co-factors that shapes their SEO plan. There is a lot to follow in the way of assessing your SEO plan and its success and to come with clear and wise decisions you will have to collect a huge amount of data about your website, and there is more than a way to collect data about your website and maybe the most popular one is using an analytics software and one of the most popular software is Google Analytics as it is free and very powerful. We will take about the factors you study and measure from the data you have collected and analyzed. Organic Search Traffic means how many users have visited your website and Organic means ordinary users from who search from Google, Yahoo or Bing. It is one of the most important metrics that define the success of your SEO plan. Some of the time you can have drop in the number of views but in a general view your website visit have to be increasing or you will have to modify you SEO program. Bounce Rate of a website means the percentage of visitors who leaves the website after viewing one page only. This can carry two meaning either the users have found the information that they were looking for immediately or they have not seen the things they are looking for. A high bounce rate can be a strong indicator that you are using wrong keywords because you are attracting wrong users. As we mentioned in earlier example one of the key factor that Ecommerce sites depend on in their SEO analysis is the Conversion Rate or how much of the traffic or the visitors of your website are converted into sales. It is a strong indicator of how much you are trusted to the users and you have to keep your conversion rate either steady or improving. There is something called Conversion Rate Optimization and it is a process of improving your conversion rate through a well-made strategy. Here you focus on the data of individual users as the time spent by the user in your website and the number of pages he opens, these are very important indicators on how good and engaging your website is. On the other hand if the time spent by users is little and the visitors are likely to open many pages that can guide you that your website may not be friendly enough or the content is not well suited with the keywords. This is another strong Indicator in how good, engaging your site is, and even if you convert all the visits into sales, you need to make sure users return to your website and make another one, or you will be losing a big resource of revenue. You can check this data as it is provided by Google Analytics and in more than a form. Check regularly the ratio between new users and returning users to know how you site is growing and how effective is you SEO program. The mobile devices users have increased in the last 5 years enormously, and recently most of the site visitors and internet users are using mobile devices not desktop computers. So it became a must that you know which device is the most frequent to your site. For example if you found that devices which use Android as an OS is high percentage, then you will be in a need to enhance the performance of your site to make it more mobile-friendly and you can check this through Google’s Mobile-Friendly Test page to check your site performance. It can the most important item in you SEO program, you can consider keywords as people it may get popular or die and every keyword can live for an amount of time vary from one to another. You need to keep updating your keywords and checking it to know which is improving or which has lost traction. 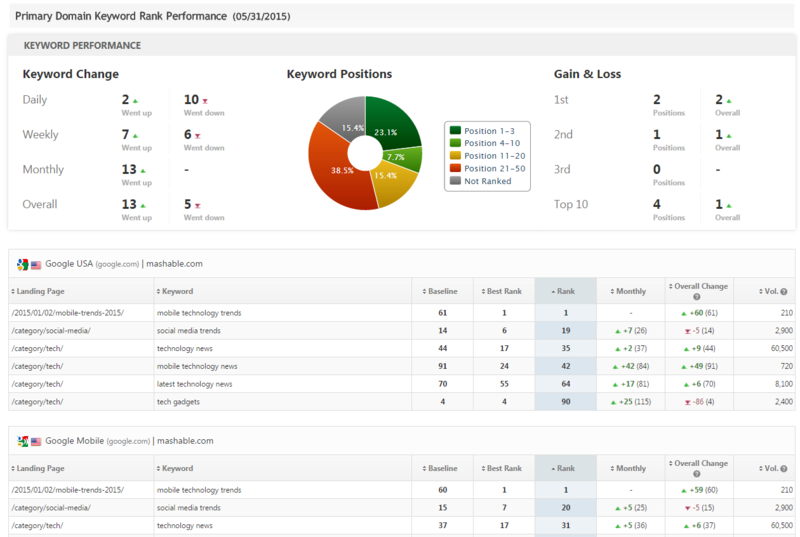 Many SEO companies uses software which track up the keywords and their ranking. There are many factors which play an important role in the effectiveness of your keywords, as the Volume of the keyword. For example if your site is selling more than a kind of mobiles, it is wiser to focus on mobile kinds which has high volume in the search even if it is not sold as much as the others. Also, the relevance of your keywords is very important, you have to wisely choose your keywords to avoid targeting wrong users and it will surely affect your site ranking as Google is consistently tries to remove the site of inappropriate content. Last but not least, the quantity of the keywords, you should track the amount of each keyword in your site monthly, and what is more important than how many keywords you use is how many time each keyword is repeated so it can be sensed by Google engines. Your SEO plan has to be wisely put and more important that you keep tracking its performance to maintain good result and high effectiveness.